Thank you! Your submission has been received! We'll be in contact soon. 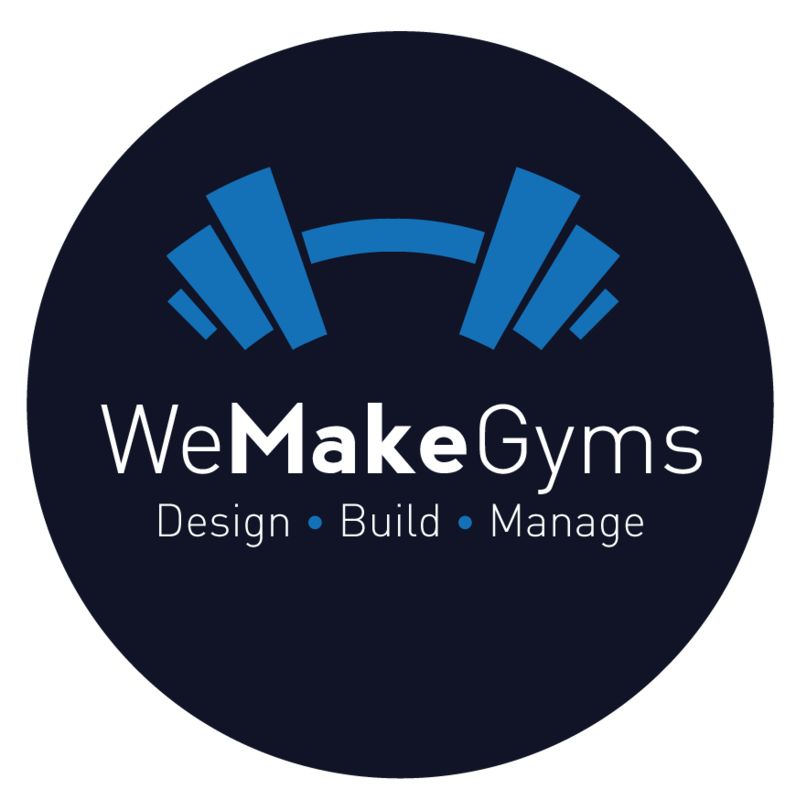 WeMakeGyms are experienced fitness specialists dedicated to the design, construction and management of innovative, industry-leading gyms in private homes and residential developments or corporate sites and commercial spaces throughout the UK and worldwide. 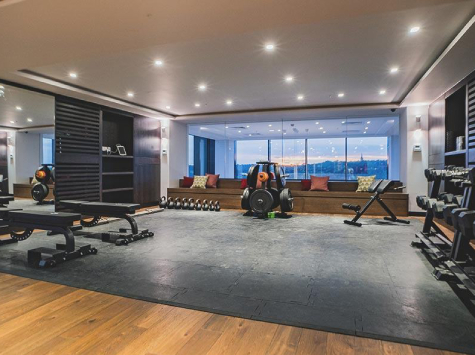 Whether it's an in-home personal workout room, a corporate gym or the focal point of a large residential development, our end-to-end service provides everything you need to create the perfect fitness space. Our passion is designing gyms that are easy to use, incredibly effective and pleasurable places to be. Cutting-edge equipment and inspirational use of space are brought together to create the best possible workout experience. Consultation: From the compact home workout space to the extensive workplace gym or residents’ fitness facility, our initial consultation allows us to review your available space, needs, goals and budget. Making sure we completely understand your requirements, expectations and constraints, gives us the insight we need to design the workout space that works best for you. We are available throughout the UK and worldwide. Design: Based on this detailed review of your needs, we will design an optimal layout and specify all types of equipment and interior finishes, from flooring and lighting to audio-visual and air-conditioning. Detailed plans will be provided to bring your design to life – including 2D floor plans, 3D images and full 3D video animations. We use our industry expertise to source all equipment from the highest quality, world-leading fitness equipment brands. As independent consultants we select the best equipment for your budget and project goals without being limited to a particular manufacturer. 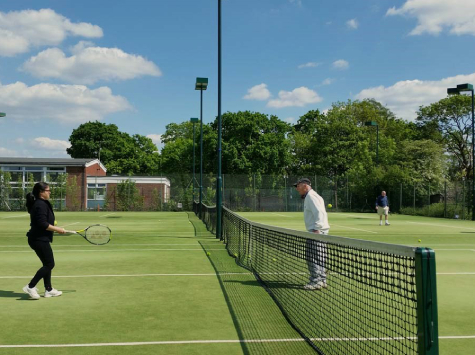 Our designs ensure the most efficient and safe use of your space, are bespoke to individual demographic needs and will enable you to meet your fitness goals. Interior Architecture: On larger projects our associate interior architect is available to advise on structural and design elements. We can maximise aesthetic impact, making the most of your existing space, natural light and architectural features. WeMakeGyms have the attention to detail and commitment to quality needed to convert your vision of the ideal workout space into reality. Our flexible approach is tailored to fit your needs, making your gym installation as hassle-free and efficient as possible. Project management: We oversee the building of your gym closely to ensure smooth running of the project. We will source and co-ordinate delivery and installation of all necessary equipment and materials. Contractors: We can assemble a specialist team to complete your fitness space if needed – using only the most reputable and reliable trade’s people to guarantee efficiency and quality. Or we can co-ordinate with your existing contractors throughout the UK and worldwide, keeping disruption to a minimum. Timing: We understand how important it is that work is finished to the agreed timescale. We oversee your project from start to finish to make sure deadlines are met. Following the completion of your gym, WeMakeGyms offer a wide range of services that make sure your workout space is used optimally and kept in top condition. From ongoing maintenance to regular fitness programs, we will help you get the most from your gym on a long-term basis. 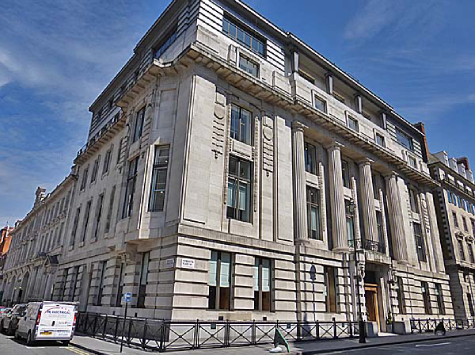 Our management services in London are not limited to customers for whom we have designed and built a gym – we also offer stand-alone consultancy and management services for existing commercial gyms. Staffing: From a single personal trainer to a full team of gym managers and fitness instructors, WeMakeGyms can recruit, train and manage the professionally qualified staff you need to maximise the effectiveness of your training. Operations: Let WeMakeGyms take responsibility for ensuring your fitness space performs at its best, managing the gym floor and ensuring the safe and effective day-to-day operation of all your equipment. Financial management: WeMakeGyms offer a convenient umbrella service handling all gym-related financial transactions from staff payroll to equipment leasing contracts. What we said: "A nice residents gym in an iconic building"
What the client said: "WeMakeGyms consulted us on what would work within our designated gym space; providing excellent presentation skills to our senior executive." What we said: "A home basement gym over two rooms with a General Fitness room and a Yoga room in a prestigious property." What the client said: "WeMakeGyms oversaw the project and managed to design, consult, supply and install from start to finish in only 2 weeks under lots of time pressure from me!" 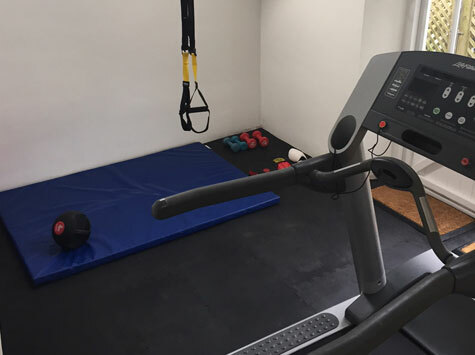 What we said: "This project included air conditioning installation, flooring, a power lifting platform and rack, a treadmill, hanging heavy boxing bag, TRX/anchor point and dumbbells and kettlebells on a multi use rack. Nice use of an unused garage annex!" What the client said: "WeMakeGyms sourced locally for a reputable air conditioning firm and oversaw every aspect of our project from start to finish. It meant I could busy myself watching the world cup and leave them to it! Happy days!" What we said: "This project is a great example of the high standard that can be reached with a dedicated space for a home gym. This gym has it all!" What our customer said: "Mark did an exceptional job on the design and installation of our new home gym. At the initial stage he provided expert advice and guidance on what kit was needed and what brands were most suitable. Not only did he provide fantastic designs and visuals to show us exactly what the gym would look like but he used his trade contacts to negotiate a discount on all the equipment bought. He was there every step of the way to see everything was installed 100% perfectly and even organised a session for all my kids to explain how to use the equipment safely. I am over the moon with my new gym and can not recommend Mark and the WeMakeGyms team highly enough." 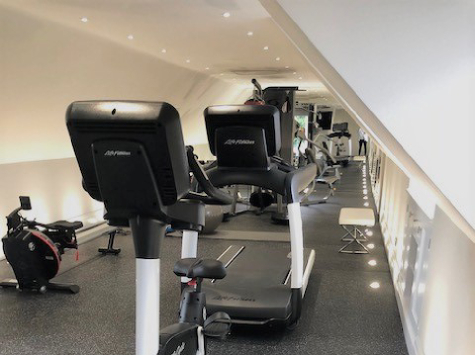 What we said: "This project demonstrates that converting existing rooms within your home into a gym can be very effective - even when working with less floor space!" What our customer said: "The guys at WeMakeGyms were very friendly and business like in their approach. It was pretty staggering how quickly the gym came together once we had finalised what we wanted and we are so happy with our new home gym! Mark got us the best price, saved us all of the hassle and was there every step of the way to ensure the outcome we wanted! Now my husband has more time in the morning because he works out at home. I now have follow up Personal Training with one of their associated PTs once a week and I'm loving it! We have our 2 young kids come in and join the fun on the weekends and they love it too! WeMakeGyms has done a fantastic job - thanks so much Mark and the guys!" What we said: "This project was great fun over in a lovely part of the country! This guest house conversion is minimalist with lots of functional floor space to suit the clients high octane workouts!" What our customer said: "Mark at WeMakeGyms gave me the confidence, design expertise and practical help I needed to turn my vision of a home gym into reality. He offered invaluable advice about layout and equipment and support and assistance from start to completion. Highly recommended." 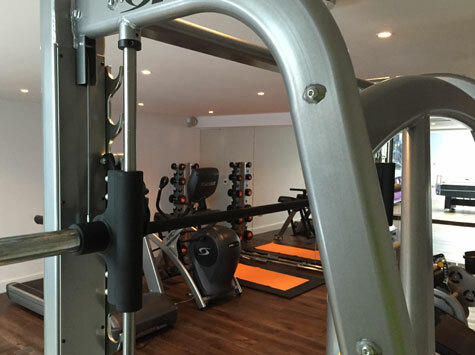 What we said: "This premium home gym has top quality equipment, high end gym flooring, accent lighting, streaming media services and a hidden built in water fountain!" What the client said: "WeMakeGyms were recommended by our interior designers and they helped us from start to finish - they provided initial floor plan designs and 3D renders, equipment choice and layout, a huge discount on our chosen equipment and dealt with all of the logistics. We have ended up with a fantastic gym." What we said: "A small commercial site with big ambitions!" 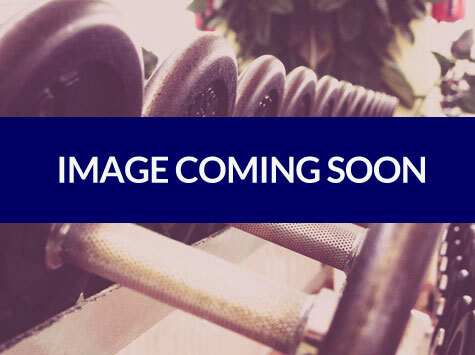 What we said: "The new gym operations we set up should really help this site have a vastly improved gym product for their site." What we said: "A compact basement gym that’s fit for purpose!" 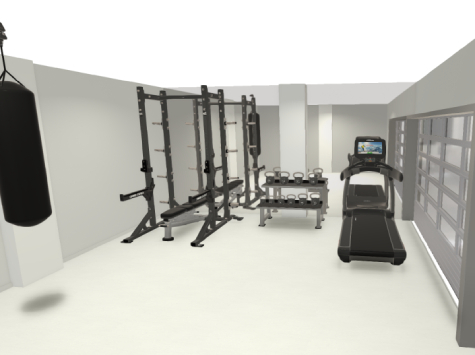 What we said: "The client wanted a specific type of fitness equipment to fit within a custom built space and we got it done!" What the client said: "I contacted WeMakeGyms as the lead interior designer on the project as I wanted some specialist advice. WeMakeGyms provided that advice - making sure my client was up to speed on the best options on fitness equipment. Not only that they saved us 35% on price with their trade contacts. Would definitely use again." Would you like to find out more about what WeMakeGyms offer? Are you interested in a free initial meeting to discuss your project? If so, get in touch.